This article is written by Loudy Wiggins and is taken from Great Health Guide (March 2016 – issue 9). Most people I know get the general idea of goal setting. Sometimes they even do it unintentionally but in my experience, they lack the tools necessary to achieve to their hearts desire. This goes for athletes or non-athletes alike. Whether it’s in regard to career, physical appearance or mindset, our hopes and dreams can all be classified as goals. My first experience of goal setting (that I can remember) was in a Channel 10 Today show interview when I was 10 years old. I verbalized, ‘I want to go to the Olympic Games and win a medal for Australia’. That was in my gymnastic days and I have no idea where the notion came from but it was there and inbuilt in my psyche. I don’t think I ever spoke of it again but it was always in the back of my mind and I put actions behind that goal for over 22 years. In most cases as we get older, childhood dreams and goals, such as I want to be a fireman, doctor, nurse, actress or olympian become muddled and people often end up in a career that is completely unrelated. This might be because the initial goal was totally unrealistic or because no actions were taken. Granted, at some point we need to take responsibility and feed our family. So that goal of ‘I want to be a famous actor, actress, singer or musician’ needs to take a back seat as it will not pay the bills. I recently republished an old post; ‘Age is just a number’ and I was asked by a few if I was making a comeback to diving at the age of 36. I also got some negative comments telling me that age does matter as your body fails you. My point was missed entirely – I was trying to demonstrate that as we get older our dreams do change but we should not let age be the determining factor. My desire to put my kids to bed every night or see them every morning outweighs my desire to keep diving and achieving on that stage, so this is not a realistic goal that I am willing to put action into anymore. It has nothing to do with how old I am. Goals should be a conscious decision and are a really important part of striving to succeed. Actions always speak louder than words so things need to be realistic. I am not saying don’t aim for the sky, however have a clear, concise and specific plan. For example, it is all well and good to hold onto your ‘I want to be famous’ dream/goal but you need to break it down as ‘being famous’ isn’t the goal or at least it’s not specific enough to be measurable – it needs an action plan. To be famous, do you need to be successful? What is your chosen field of success? If you are ‘successful’ as a musician or an actor, then you will most probably end up being well known but unfortunately if you are successful as a scientist, then ‘famous’ is the wrong word to use. You are more likely to be ‘recognized’ in your own profession or industry. Goals don’t necessarily have to have ‘success’ in their definition. A goal may be, ‘I want to be a good mother and have a happy family life’. You still need to establish how you will do this. Talking calmly and working on your patience may be two of the positive steps you have to take to achieve such a goal. Goal for weight loss or health need to be informed and realistic. It is all very well and good to say ‘I want to lose 7 kg’ or ‘compete in a body building competition’ but to eat 1 kg tub of yogurt after dinner every night is blatant self-sabotage. You have to have clear and concise actions as part of your goal. If your goal is to be fit and healthy but you never exercise and can’t find the time, then the responsibility is with you. Don’t blame the kids, don’t blame the fact you don’t have running shoes or the appropriate clothing. 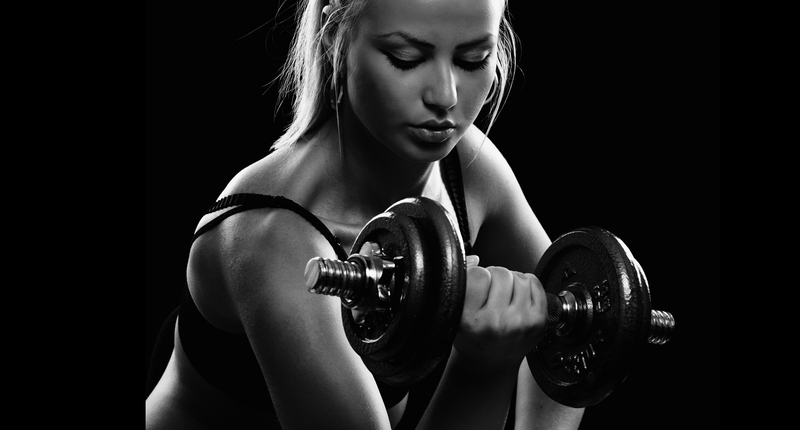 Set up a plan and make the time to achieve your fitness goal. Loudy Wiggins is a Dual Olympic Medalist and a three times Commonwealth Games Champion in the sport of Diving. The Melbourne-based mother of two is a Personal Trainer, Nutrition and Wellness coach for her own business, Loudy Wiggins Fitness. She is also the program manager for the Victorian Institute of Sport Diving Program and on the Australian Olympic Committee Athletes Commission. She has recently launched an online training program Mind and Body Blitz to help women achieve their health and fitness goals with a holistic approach – mindbodyblitz.com. Loudy can be contacted through her website. Fitness: Are You Setting Yourself Up for Fitness Failure?